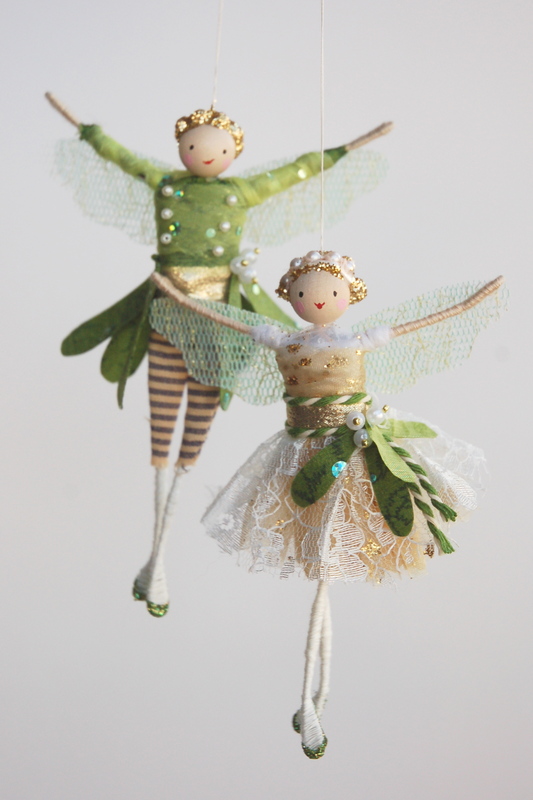 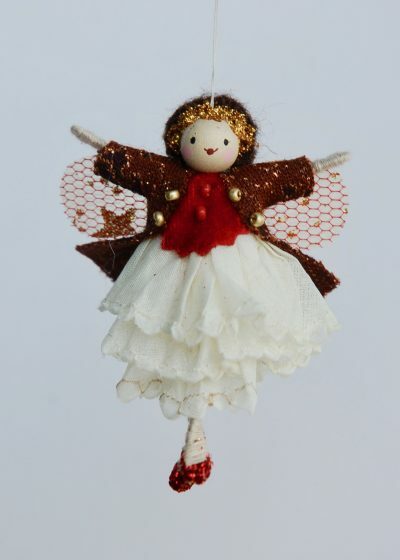 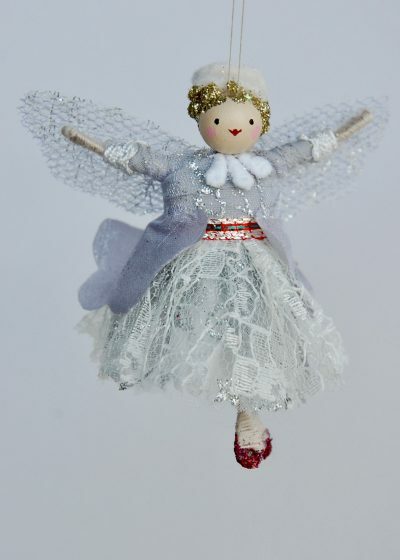 Designed and handmade by Halinka the Mistletoe fairies are ready for a Christmas kiss!The girl has a gold under skirt with an overlay of ivory lace. 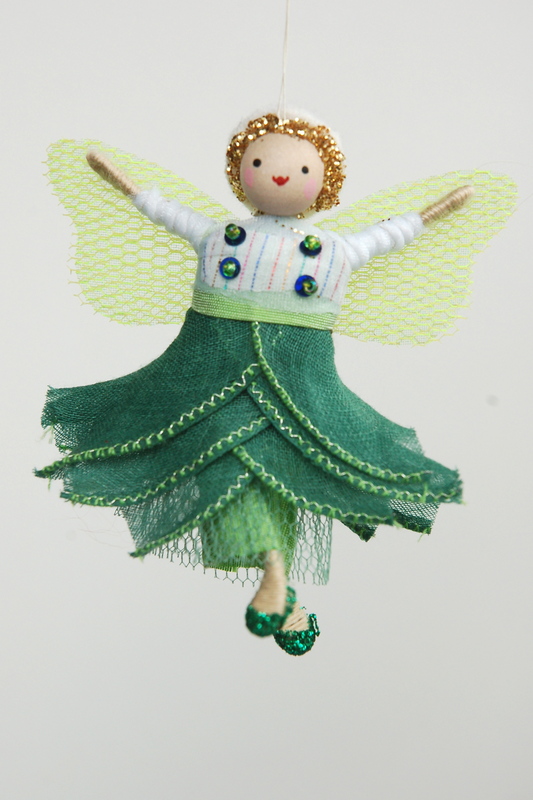 The boy is in similar colours with his striped trousers and mistletoe tail coat. 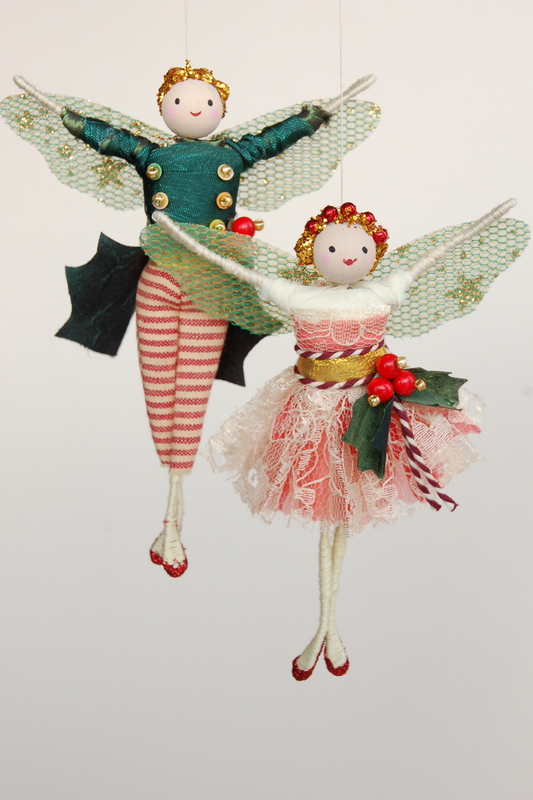 Both have pearly mistletoe berries as decoration!They measure 12 to 13cm tall and arrive together in their gift box.